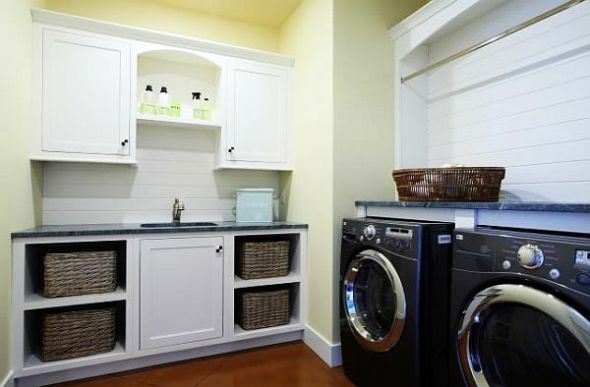 When it comes to laundry room ideas there are no limits to it, a laundry room doesn’t have to be that dull. 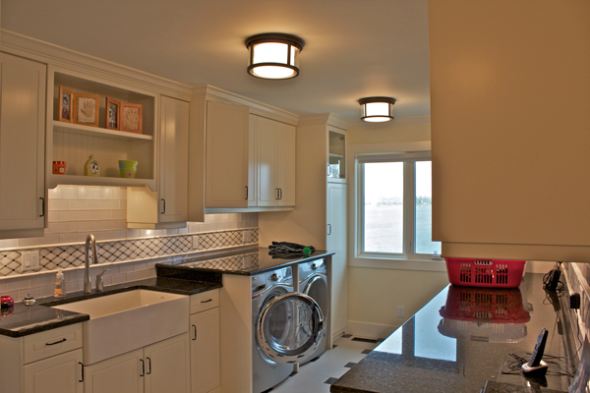 Laundry rooms can be comfortable, cool and pleasant and highly functional place. 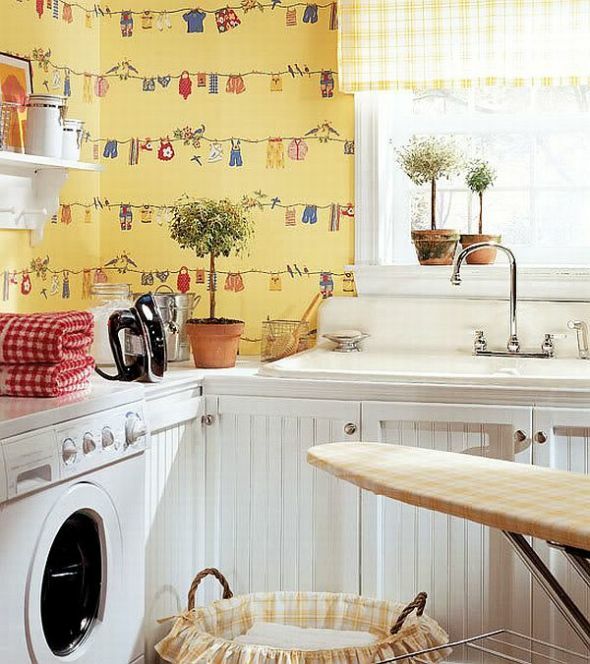 Here are some tips and easy laundry room ideas to decorate your perfect laundry room. 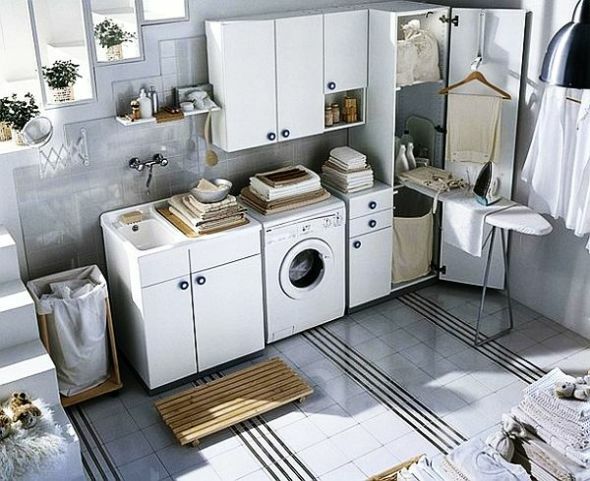 Storage space is the most important thing for any laundry room, laundry sorting baskets, the open shelf, and the hanging bar over the machines. It gives you more space to move around and it allows to hang your clothes, rubber gloves, or to hide your detergent maybe. Also, consider using the space behind the door. 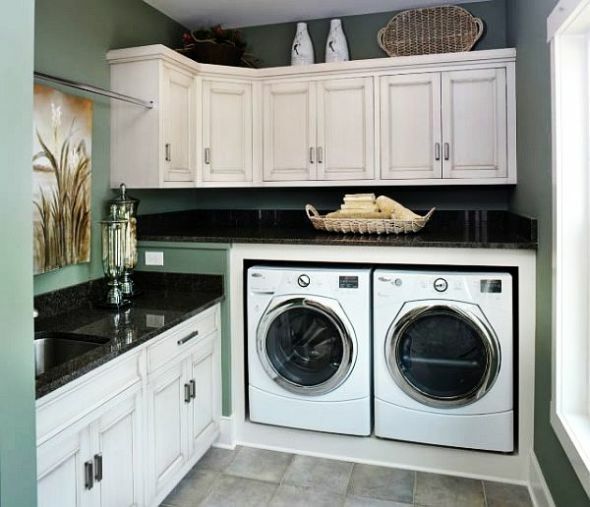 For better space utilization you may also want to consider pulling out hamper or a narrow sliding cart between the washer and dryer, install a countertop above the washer and dryer to create a smooth surface. 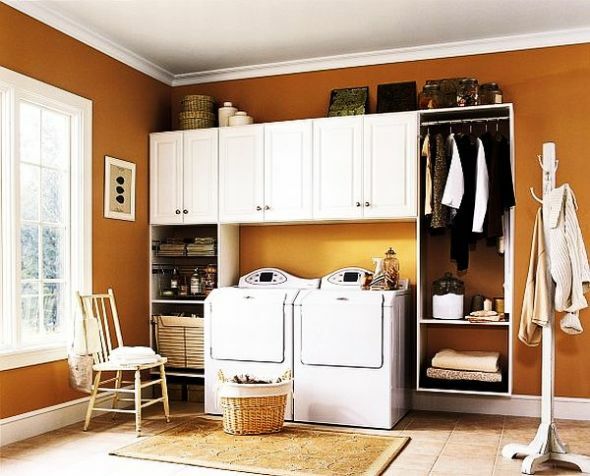 Use light colors for the walls as well as your other laundry room furniture that you may have, keep things clean, a cluttered room makes it difficult to do laundry work, it becomes a time-consuming and frustrating job.